At the SAP HANA Academy, we look back on 2017 with gratitude. Thank you for watching! Our YouTube channel has grown this year with over 12,000 new subscribers approaching the 40,000, making it one of SAP’s largest channels on this social media platform. However, the majority of our viewers are not yet subscribers, so here is another invitation to do so. Why subscribe? As a subscriber, you will be the first to hear when new content is published (as configured by your own YouTube notifications settings). We are also very grateful for all your LinkedIn connection requests and acceptations of our invites this year. The SAP HANA account on LinkedIn has almost doubled this year to well over 8,000. Why connect? Connecting with us on LinkedIn will bring you together with the largest community of SAP HANA experts and enthusiast, inside SAP and with our customers and partners. Through LinkedIn, we also regularly post updates about our own material and anything we think may be of interest. The end of the year is a good time to look back and review: what’s hot and what’s not? Below, the list of the most-viewed tutorial videos created this year. Obviously, this competition is a bit skewered as we find the videos published earlier this year generally to appear higher on the list. Nor does such a list do value, of course, to all of the 421 tutorial videos published this year, some of which are pure gold in terms of content but cover a topic with a more restricted, specialized audience. Yet, statistics being what they are and with all the caveats in place, here is our list. 1. SAP HANA 2.0 What’s New? 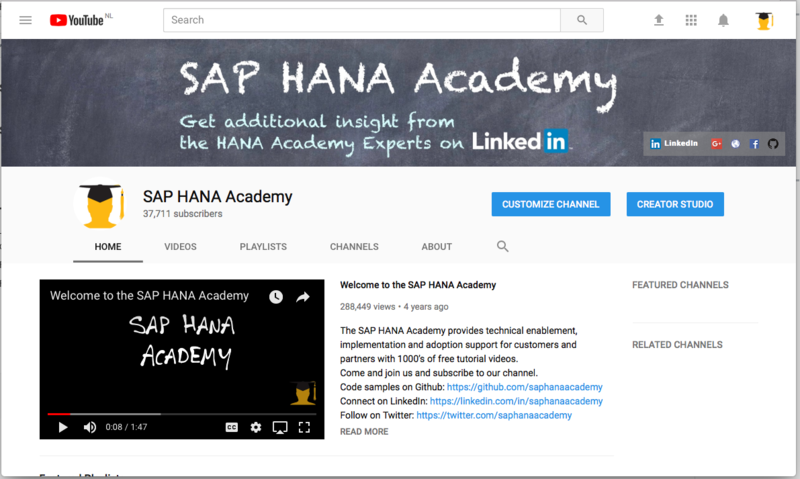 A number of SAP HANA 2.0 What’s New video tutorials have made it to the top 10 list, both from the SPS 01 and the SPS 02 playlist. Maybe not surprising with two major releases this year! Most viewed is a tutorial video about Installation and Update (Platform Lifecycle Management) for SPS 01. It is a guess but this might very well be related to multi-tenant database containers (MDC) becoming the one-and-only operation mode as of this release. 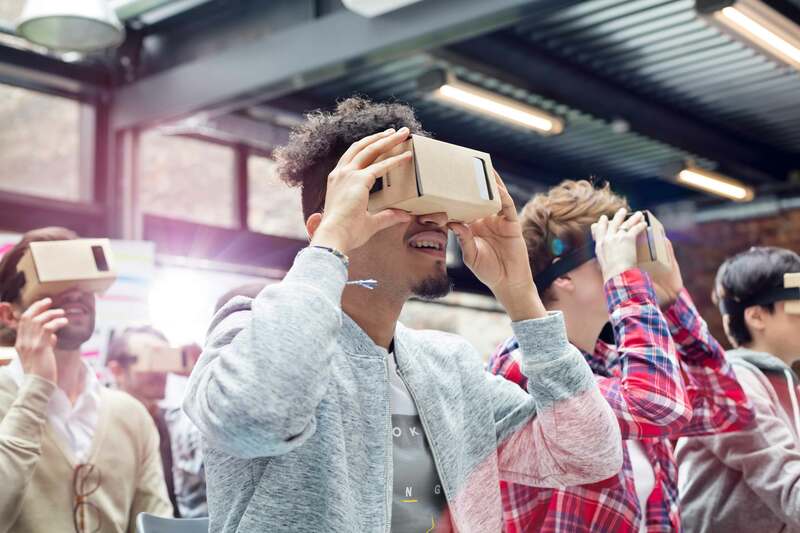 Next to SAP HANA SPS What’s New video tutorials, the videos about both SAP HANA, express edition and getting started with SAP HANA on the Google Cloud Platform attracted a lot of viewers. There may have been some benefit here from the SAP TechEd effect, as both the SAP HANA, express edition and the availability of this edition on the Google Cloud Platform, were announced at SAP TechEd (2016 and 2017, respectively). In this video tutorial, Bob shows how to create calculated columns in Calculation Views within a Database module in the multi-target application project using SAP Web IDE for SAP HANA. This video tutorial is part of a series about BW/4HANA from Tanja Wingerter from Product Management. Others videos of this list also attracted a large number of views. One of the fastest-growing tutorial of our top 10 list, reaching this position in less than 4 months, is about Machine Learning, one of the hot topics of this year. In this video tutorial, Philip introduces the SAP HANA External Machine Learning Library (EML) with SAP HANA 2.0 SPS 02 via a chalkboard overview encompassing machine learning and predictive analytics with HANA and how trained TensorFlow models can be accessed via the EML. In this video, Bob shows how to launch version 1610 of the On-Premise Free Trial of S/4HANA, which is available via the SAP Cloud Appliance Library (CAL). Again, a very fastest-growing video tutorial. In it, Bob goes through an overview of the SAP HANA Web IDE for XS Advanced, relating to Modeling. Additionally, the concepts of Projects and SAP HANA Database Modules are introduced. In this video tutorial, I discuss the available editions and options for SAP HANA 2.0. Last of the list, but certainly not least, part of the impressive playlist of 158 videos (and counting) about the SAP HANA Predictive Analysis Library (PAL), a video from Philip about Getting Started with the Predictive Analysis Library. In this video tutorial, Philip explains how to get started by covering an introduction to predictive, how to configure a new server for PAL usage, how to obtain the SAP HANA Academy code snippets and sample data, how to define an authorized PAL developer user, and where to find the reference guide.